Boktoh Peak (6114m/20,060ft) is located in one of the more remote areas of the Kanchenjungha South base camp. Boktoh trekking peak become famous in the spring of 1991 when a Slovenian expedition team climbed it as an acclimatization peak before attempting Kanchenjunga from its South East Ridge. The trekking trail to Kanchenjunga South base camp is one of the most spectacular trails that Nepal has to offer. 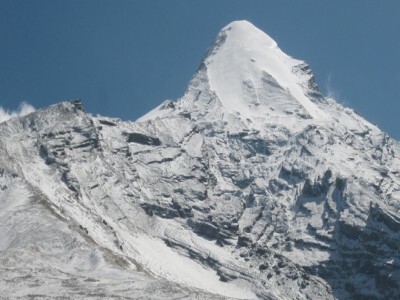 It is a perfect objective for mountaineers looking for a challenging 6000m peak. It is suitable for those climbers who have previous 6000m climbing experience, several high passes and British hill experience. 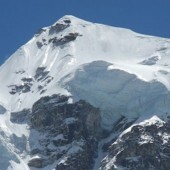 The peak is rarely climbed and permits have only been issued for climbs since 2002 under the authorization of the Nepal Mountaineering Association (NMA). Before then the peak was issued permits under the Department of Tourism. This route was opened to trekkers in 1988, though people have trekked in the area on mountaineering expeditions since the turn of the century. The semi-technical nature of Boktoh also known as Bokta to the locals is a deceivingly complex peak that calls for skills in route finding. The Boktoh trekking route is shared with the approach to the wild Mt. Kanchenjunga. Continuing on the caravan trail past Bokta peak would bring you to Kanchenjunga’s South base camp. The Kanchenjunga region is quite special, it is more remote so it has fewer trekkers that pass through. Bokta climbing offers fantastic views of the Himalayas, from the summit you can see: Mt. Kanchenjunga (8586m/28,169ft), Kumbhakarna (7710m/25,595ft) Dhormo Peak (6850m/22,473ft). Your journey starts with a flight to Bhadrapur followed bya drive to Phidim. The trekking takes you through several wild and remote villages such as: Khamdembe, Yamphudin, Tarading, Ramche and Octang. After you’re successful and enjoyable trip you will return to Taplejung and take a flight to Kathmandu or drive to Bhadrapur and then take a flight to Kathmandu. Group Size: 01-10 persons per Group. 03 Oct/Day 02: Preparation and briefings at the departments of tourism. Last minute shopping. 04 Oct/Day 03: Flight or Drive from Kathmandu to Biratnagar(80m/260ft) and Drive to Basantapur(2200m/7216ft, 05hrs drive 40m flight). 05 Oct/Day 04: Trek from Basantapur to Chauki(2700m/8856ft, 05-06hrs) tea house or Camping as request. 06 Oct/Day 05: Trek from Chauki to Gupha Pokhari(2930m/9610ft, 05-06hrs) tea house or Camping as request. 07 Oct/Day 06: Trek from Gupha Pokhari to Dovan(730m/2395ft, 08hrs) tea house or Camping as request. 08 Oct/Day 07:Trek from Dovan to Mitlung(890m/2919ft, 06hrs) tea house or Camping as request. 09 Oct/Day 08: Trek from Mitlung to Chirwa (1185m/3888ft, 06hrs) tea house or Camping as request. 10 Oct/Day 09: Trek from Chirwa to Sekathum (1640m/5380ft, 05hrs) tea house or Camping as request. 11 Oct/Day 10: Trek from Sakhatum to Amjilasha (2490m/8169ft, 05hrs) Camping. 12 Oct/Day 11: Trek from Amjilesa to Gyabla (2730m/8957ft, 04hrs) tea house or Camping as request..
13 Oct/Day 12:Trek from Gyabla to Ghunsa (3430m/11253ft, 05hrs) tea house or Camping as request. 14 Oct/Day 13: Trek from Ghunsa to Kambachen (4040m/13255ft, 06hrs) tea house or Camping as request. 15 Oct/Day 14:Trek from Khambachen to Lhonak (4790m/15715ft, 06hrs) tea house or Camping as request. 16 Oct/Day 15: Trek from Lhonak to Pang Pema (5140m/16536ft, 06hrs) Back to Lhonak, Camping. 17 Oct/Day 16: Trek from Lhonak to Day Ghunsa (3430m/11253ft, 07hrs) tea house or Camping as request. 18 Oct/Day 17: Trek from Ghunsa to Khadka (3913m/12835ft, 04hrs) tea house or Camping as request. 19 Oct/Day 18: Trek form Khadka to Lapsang la (4500m/14760ft, 05hrs) tea house or Camping as request. 20 Oct/Day 19: Rest day at Lapsang La (4500m/14760ft.) for acclimatization, tea house or Camping as request. 21 Oct/Day 20: Trek from Lapsang la to High camp 5000m/50003ft) Camping. 22 Oct/Day 21: Summit Boktoh peak (6,143m/20149ft) back to Lapsang La, tea house or Camping as request. 23 Oct/Day 22:Trek from Lapsang la to Tseram (3700m/12139ft. ),tea house or Camping as request. 24 Oct/Day 23: Trek from Tseram to Torontan (2865m/9400ft. ), tea house or Camping as request. 25 Oct/Day 24: Trek from Torontan to Yambuden(2080m/6824ft. ), tea house or Camping as request. 26 Oct/Day 25: Trek from Yambuden to Lali Khadka( 2300m/7445ft. ), tea house or Camping as request. 27 Oct/Day 26: Trek from Lali khadka to Suketar(2420/7940ft. ), Hotel accommodation. 28 Oct/Day 27: Flight from Suketer to Kathmandu if there are schedule flight otherwise Drive from Suketar to Kathmandu via Bhadrapur airport. 29 Oct/Day 28: Leisure day & shopping in Kathmandu. Fare well celebration dinner with culture program in the Evening. 30 Oct/Day 29: Transfer to the airport for final departure. 18 April/Day 02: Preparation and briefings at the departments of tourism. Last minute shopping. 19 April/Day 03: Flight or Drive from Kathmandu to Biratnagar(80m/260ft) and Drive to Basantapur(2200m/7216ft, 05hrs drive 40m flight). 20 April/Day 04: Trek from Basantapur to Chauki(2700m/8856ft, 05-06hrs) tea house or Camping as request. 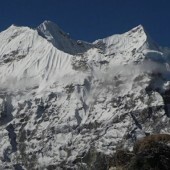 21 April/Day 05: Trek from Chauki to Gupha Pokhari(2930m/9610ft, 05-06hrs) tea house or Camping as request. 22 April/Day 06: Trek from Gupha Pokhari to Dovan(730m/2395ft, 08hrs) tea house or Camping as request. 23 April/Day 07:Trek from Dovan to Mitlung(890m/2919ft, 06hrs) tea house or Camping as request. 24 April/Day 08: Trek from Mitlung to Chirwa (1185m/3888ft, 06hrs) tea house or Camping as request. 25 April/Day 09: Trek from Chirwa to Sekathum (1640m/5380ft, 05hrs) tea house or Camping as request. 26 April/Day 10: Trek from Sakhatum to Amjilasha (2490m/8169ft, 05hrs) Camping. 27 April/Day 11: Trek from Amjilesa to Gyabla (2730m/8957ft, 04hrs) tea house or Camping as request..
28 April/Day 12:Trek from Gyabla to Ghunsa (3430m/11253ft, 05hrs) tea house or Camping as request. 29 April/Day 13: Trek from Ghunsa to Kambachen (4040m/13255ft, 06hrs) tea house or Camping as request. 30 April/Day 14:Trek from Khambachen to Lhonak (4790m/15715ft, 06hrs) tea house or Camping as request. 01 May/Day 15: Trek from Lhonak to Pang Pema (5140m/16536ft, 06hrs) Back to Lhonak, Camping. 02 May/Day 16: Trek from Lhonak to Day Ghunsa (3430m/11253ft, 07hrs) tea house or Camping as request. 03 May/Day 17: Trek from Ghunsa to Khadka (3913m/12835ft, 04hrs) tea house or Camping as request. 04 May/Day 18: Trek form Khadka to Lapsang la (4500m/14760ft, 05hrs) tea house or Camping as request. 05May/Day 19: Rest day at Lapsang La (4500m/14760ft.) for acclimatization, tea house or Camping as request. 06 May/Day 20: Trek from Lapsang la to High camp 5000m/50003ft) Camping. 07 May/Day 21: Summit Boktoh peak (6,143m/20149ft) back to Lapsang La, tea house or Camping as request. 08 May/Day 22:Trek from Lapsang la to Tseram (3700m/12139ft. ),tea house or Camping as request. 09 May/Day 23: Trek from Tseram to Torontan (2865m/9400ft. ), tea house or Camping as request. 10 May/Day 24: Trek from Torontan to Yambuden(2080m/6824ft. ), tea house or Camping as request. 11May/Day 25: Trek from Yambuden to Lali Khadka( 2300m/7445ft. ), tea house or Camping as request. 12 May/Day 26: Trek from Lali khadka to Suketar(2420/7940ft. ), Hotel accommodation. 13 May/Day 27: Flight from Suketer to Kathmandu if there are schedule flight otherwise Drive from Suketar to Kathmandu via Bhadrapur airport. 14 May/Day 28: Leisure day & shopping in Kathmandu. Fare well celebration dinner with culture program in the Evening. 15 May/Day 29: Transfer to the airport for final departure. For full board clients we provide a personal tent and food, which will be prepared by their climbing Sherpa. We provide UHF/VHF hand held radios on the mountain to maintain communications between ABC and high camps. 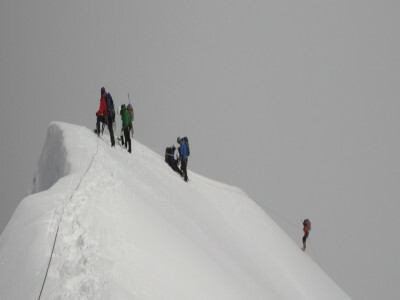 We provide a personal climbing Sherpa guide each group(2:1 ratio) to help the clients reach the summit. The secret of success on ls and is a strong and experienced climbing Sherpa. No matter how good and experienced the climber, it is a long slog. Personal climbing Sherpas will set up camp. They will also carry food provisions, fuel and assist the client on the summit day. Arrival and departure transfer services to and from both domestic and international flights as per itinerary. Assistance at the international airport by Satori adventures while arriving and departing in Kathmandu. Schedule flight tickets for Kathmandu-Biratnagar and Sukhetar -Kathmandu to climbing members and Sherpa guide. All trekking and mountaineering equipment available at the Base camp advanced base camp. Services of chef and kitchen assistant at base camp. 3 meals a day, breakfast, lunch and dinner with tea/coffee available in the Tea house or Camping during the trekking as request. 3 fresh meals a day: Breakfast, lunch and dinner will be served at base camp. 20kg baggage allowance per person during trekking to base camp.This will be carried by porters/yaks. Daily weather report services from Seattle, Washington based company. Trekking permit (Kanchenjunga Conservation and Immigration). Expedition royalty and climbing permit of Nepal government to climb Boktoh Peak Climbing. Nepalese government royalty and fees. All wages, equipment, medical and accident insurances for all involved staff in trekking and climbing period. Equipment allowances and wages for chefs and kitchen assistants. First aid medical kits for the group and the staff. Satellite phone carried by guide for communication. Available to clients with the cost of $3 per minute call. 2 expedition members will have 1 tent V25, 2 man tent available in the ABC and High camp as needed. Required fixed and dynamic ropes during climbing period. EPI gas and cooking stove above the base camp. Helicopter rescue insurance for high altitude staff. Free assistance service for cargo clearance and duties. 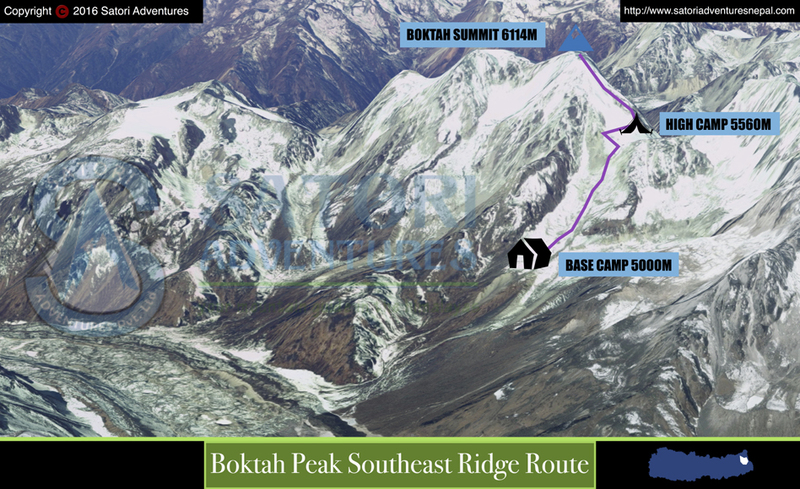 Trekking and climbing map of Boktoh Peak Climbing. Visa extension procedure services (if necessary). Farewell dinner in a typical Nepali restaurant with domestic culture show in Kathmandu. Lunch and Dinner during your stay in Kathmandu (except farewell dinner). Any packed food/snacks, aerated drinks, energy drinks, mineral water, alcohol, cigarettes, chocolates, nutria-bars. Items of personal nature, laundry expenses, tips. Expenses incurred towards usage of landlines, mobiles, walkie-talkies, satellite phones and internet. Clothing, packing items or bags, personal medical kit, personal trekking gear. Any extra expenses arising out of various/unforeseen situations like natural disasters, landslides, political disturbances, strikes, changes in government regulations. Any additional staff other than specified. Rescues, repatriation, medicines, medical tests and hospitalization expenses. Medical insurance and emergency rescue evacuation if required. Travel insurance and helicopter rescue. Wake talkies and Filming permit. Nepal custom duty for import of expedition goods. Q. 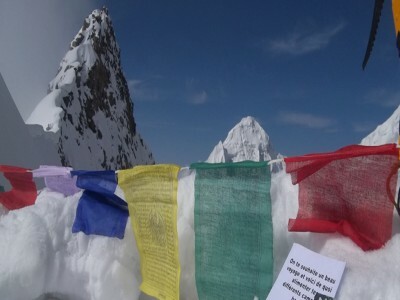 Who can climb a 6000m trekking peak & who can obtain a climbing permit? There is only one restriction for obtaining permits for 6000m peaks, the government of Nepal does not allow climbing permits to be issued to a climber who is below the age of 16. Beyond that restriction any climber with appropriate fitness and skills can attempt a 6000 meter mountain in the Himalaya. However, our policies for accepting clients on these peaks require that the client has as list experience of British hill hiking and some knowledge of rock & Ice climbing. Q. 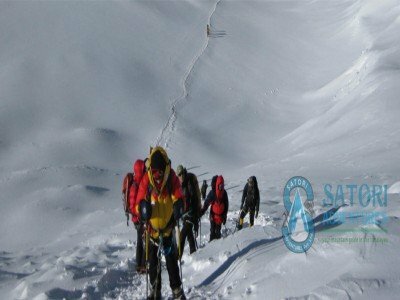 Why should I visit Nepal for a 6000M peak climbing? For those seeking the experience of climbing a 6000m peak, Nepal should be at the top of your list of countries to visit. With the rich variety of flora and fauna, the everlasting smiles of the rural Nepalese, the hospitality of the village communities, the favorable climatic and geographical conditions, the cultural and linguistic diversity and the rich cultural spirit which represents a unique blend of Buddhism and Hinduism Nepal is the adventure capital of the world. With 1400 trekking peaks above 6000m and 8 of the 14 8000m peaks in the world it is fair to say that your mountaineering ambitions can be taken to a new level here in Nepal. Will never start and complete without having Himalayan peak experience. Q. How to Choosing an experience Provider? It is important for each climber to choose the right expedition guide service that not only suites their needs, but provides the best safely and secure mountaineering experience possible. There are more than 1,700 trekking companies in Nepal who offer 6,000 meter peak climbing, but only about 30 companies who operate 6,000 meter peaks on a regular basis. We are proud to be one of these 30 companies and consistently offer. Q. Why climb with Satori Adventures? 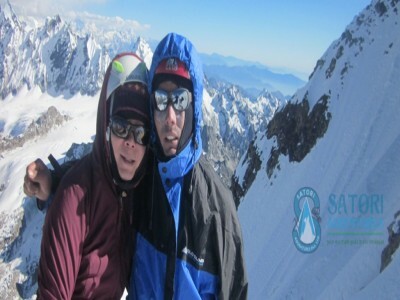 It is very important that the climbers who choose Satori Adventures for this trip of a lifetime experience have expectations that are compatible with the program we offer and the style of expedition Satori Adventures runs. We do not want to simply “fill our expedition”, but instead we want to comprise a team of companionable people who are focused on reaching the summit with the highest level of support and safety standards that can be provided by a guiding service on Mt Everest. We team this with the best standards of food and quality equipment to further assist each client reach their full potential. We feel that we offer the best environment and opportunity for you to be successful on the world’s highest mountain. Q. Is this adventure suitable for me? 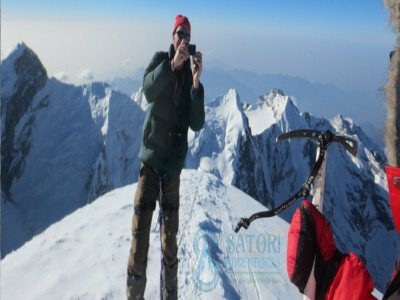 Climbing an 6,000 meter peak is not difficult for those trekkers and hikers who have some experience of Ice axe, walking on fixed rope and using crampons above snow. The steep about 45º snow climbing and ice-climbing that can be required entices craftsman to test. If you are considering climbing an 6000m peak there are several questions that you need to ask yourself and be truthful about your findings. Am I physically fit enough? Am i technically capable of handling the expected terrain? Am I mentally capable of the hardship associated with high altitude expeditions? Q. Who is the team leader and his experience? 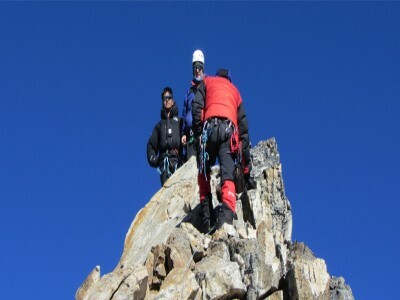 Our climbing Sherpa guides are experienced and highly qualified. Most were born in high altitude regions and have spent much of their lives above 4,000 meters. We provide extensive training to our guides in technical climbing as well as English, customer relationships and Wilderness First Aid. These guides are all certified mountain guides via the Nepal Mountaineering Association and generally have three former summits of the 8,000 meter peak that they are guiding. Our high altitude Sherpa climbing guides have many years of experience and are qualified through training with TAAN and NATHAM. They are highly skilled in all aspects of mountaineering in Nepal and hold a Nepal Government License, Mountaineering Association Accreditation and Summit Certificates for Nepal Himalayan peaks. All of these government licenses are displayed in our office. Q. 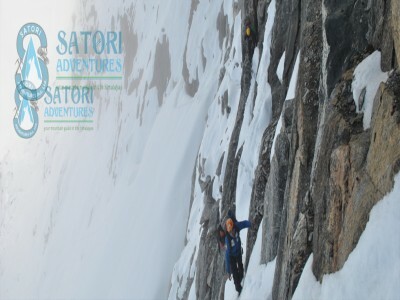 What are Satori’s physical fitness criteria to climb an 6000m peak? To climb an 6000m peak your physical fitness is very important, excellent physical fitness is required. Not only for the opportunity to succeed, but for your overall safety and enjoyment Our guides like to tell clients, “Be in the best shape of your life”. Q. 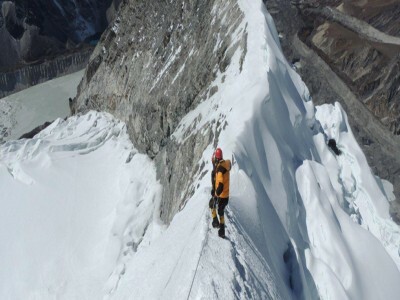 Is there any age limit for 6000m peak climbing? Persons below 16 years of age are restricted from climbing 6,000 meter peaks in the Himalaya of Nepal. This was a recent change in Nepal. Q. What are the details on food and meals? On popular trekking trails we utilize lodges/guest houses (aka teahouses) the meals will be provided by these lodges. Menu meals are often available including soups, noodles, rice, and dishes. On certain 6,000 meter trekking routes, lodges and guest houses may be limited, or not available. In these instances, accommodations will be via tents and the meals will be provided by our staff. In these instances meals will be prepared on the route with canister stoves or natural fires. While in base camp our expedition cooks will prepare meals. Above base camp the meals will be provided by our climbing Sherpa. Above base camp we always supply high altitude food that meets our clients’ requirements. Q. Is there any communication system while we are trekking and climbing? Communication will vary greatly depending on the location. Most trekking routes have local VHF phones and increasingly more places get mobile coverage from a variety of carriers. We recommend upon arriving picking up a CDMA, Ncell or Namaste pre paid card and insert that into your mobile device. In remote areas, communication is generally not available, or on a very limited basis. Some other and more costly options include the use of a Satellite phone. We like to use Delorme. We will always supply a phone that is available upon the clients request during trekking and mountaineering expeditions. Q. Who will lead me approach to base camp and during the climbing period? A licensed, trained and experienced climbing Sherpa Guide will lead an 6000mk trekking peak on 6,000 meter peaks above base camp. 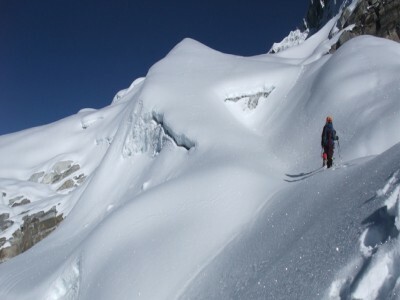 On the approach to base camp our teams may be lead by a licensed Sirdar or professional mountaineering/trekking guide. As per group size most of the trekking peak will guiding by the same climbing Sherpa guide wile our climbing Sherpa guide are also government license holder trekking guide as well. Yes. All trekkers and climbers are required to purchase adequate travel insurance, which includes a helicopter emergency evacuation plan. Insurance is not expensive compared to the cost of an evacuation during an expedition. Without having travel insurance during your trek or climb you will be financially responsible for all the costs of your evacuation and treatment. These bills can be tens of thousands of dollars. Q. Where can I obtain travel insurance? What types of Insurance should I have? You need to obtain your travel insurance policy before you depart your home. Your insurance should cover high altitude mountaineering, mountain rescue and helicopter transport to a medical facility. These types of policies are readily available through many travel agents and/or our affiliates. Before purchasing a package make sure that the policy covers helicopter evacuation from remote mountain locations, make sure that they will pick you up in a fully equipment medical transport helicopter. Q. 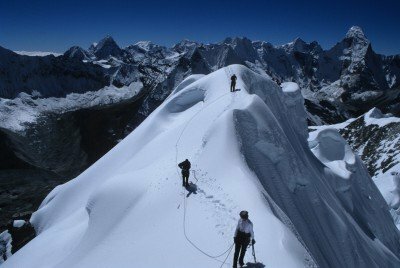 How much time is generally required for an 6000m Peak climbing? Time requirements vary for different peaks and the variety of weather conditions. 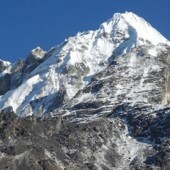 Generally most of the 6,000 meter peaks require 15-25 days to summit once you arrive in Kathmandu. This time can also vary depending on the approach, peak location and elevation. Q. What is included in the adventure Trekking peak? Q. Who will carry climbing equipment above base camp? Do I have to carry my own gear? Most of the 6,000 meter trekking peak equipment including food, climbing/personal gear will be delivered by jeep, truck and flight. After that we will use yaks, porters, or mules to reach base camp or advanced base camp. With full board service, porters will also assist in carrying the clients gear to the higher camps. We provide a personal climbing Sherpa guide (3:1 ratio). This personal climbing Sherpa guide will setup your tent and prepare your high altitude food. Q. Which is the best season and month for an 6000m expedition? Spring and autumn are the best seasons for climbing in Nepal. More specifically September-October and April-May are great months. 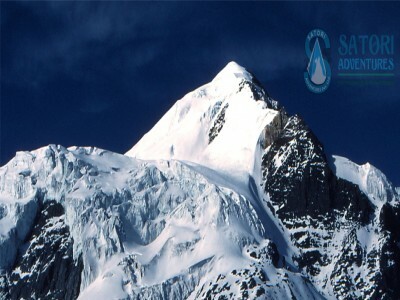 The season for climbing 6,000 meter peaks in Pakistan run from June through August. Q. Do I need to join a group or can I climb solo? 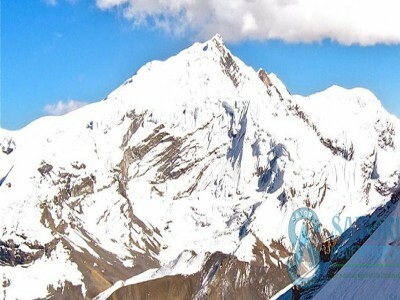 There is no legal requirement to join a climbing group to climb an 6,000 meter peak, but if climbing in Tibet, the Tibet Mountaineering Association requires a minimum of two persons to issue the climbing permit. With that being said climbing solo is generally more expensive and much less safe. We highly recommend hiring a reputable guide service for a safe and secure summit opportunity. Q. What type of food can I expect in High Camps? In the high camps we utilize freeze dried packaged foods. They offer a variety of high quality flavors and are easy to prepare at altitude. Your personal climbing Sherpa will melt sufficient ice for hot water, tee, coffee and a variety of juices. At high camp and camp one, it may be possible to ferry fresh food from base camp. Q. What is the position of your company about safety at BC, ABC and high camps? The Advance Base Camp is always located at a glacier moraine and it is protected from landslides and avalanches. 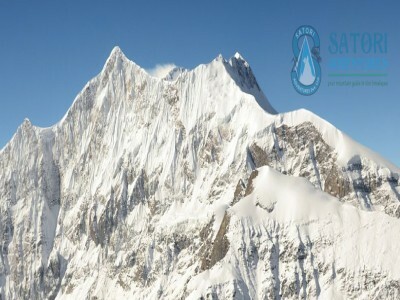 High camps and Camp 1 are generally located in a safe location, however camp 1 has to be chosen wisely due to some areas are prone to heavy snow accumulation. Our main objective is to provide high quality service with an experienced climbing staff where you have unforgettable trips. Our first priority is your safety and security and this is why we only use experienced climbing Sherpa guides. Q. Do climbers need a visa to enter Nepal? All foreign visitors except Indian nationals are required to obtain a Nepal visa. These visas are generally easy to obtain upon arrival at the airport. China, some African countries, Afghanistan and Pakistan are more difficult and generally require more time. Since spring 2015 Nepal Immigration has introduced a computerized automated visa system making the arrival immigration process fast and convenient. For Tibet expeditions you will need a two week single entry visa on arrival and a two week single entry visa on departure, which will cost US$ 25.00 per two weeks. Most of the 8,000 meter Himalayan expeditions will be more than 40 days, so we advise that you obtain a three month multiple entry visas which will cost US$ 100.00. If you are going to leave Nepal within 24 hours you may request free transit visa. Q. Is the climbing permit included in Satori’s package cost? Who arrange climbing permit? Yes. The climbing permit is included in the package cost and Satori will organize the permit, visa and transport service. Q. What type of accommodation should I expect during the trip? In Kathmandu we provide you with your requested category of hotel accommodation and will send you to a quiet part of Thamel. During the trekking we provide tea house accommodation and camping at base camp and above camps. Q. Which types of sleeping bag do I need for an 6,000M expedition? Who will provide this? Our experience tells us it requires -20 to -35 C with liners will be enough. 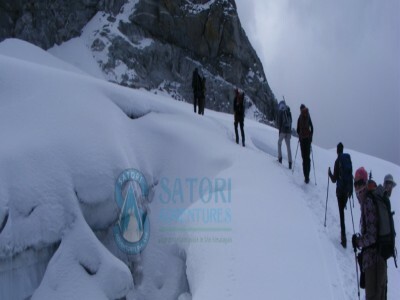 If you have we advise you to bring with you otherwise Satori adventures will provide during the trekking and climbing period. Q. Do you provide sleeping matt for BC, ABC and high camp? 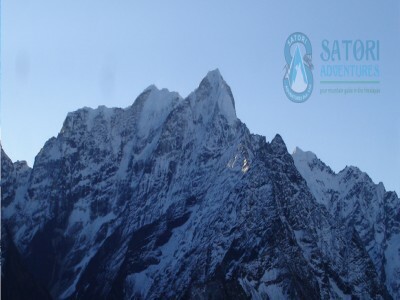 Satori Adventures will provide a thick quality pad for use in base camp and advance base camp. You will need to provide your own sleeping pad for the higher camps. Foam pads generally work best, but some clients prefer air mattresses. Q. What climbing equipment do I need for climbing an 6,000 meter peak? Please click on the climbing equipment list where you will find the recommended climbing gear list. 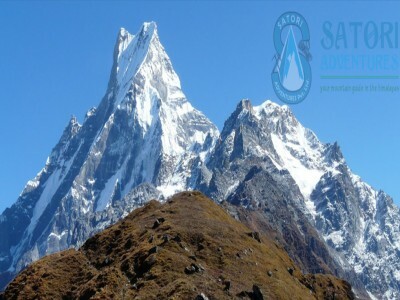 If you need further information please contact us at info@satoriadventuresnepal.com We recommend purchasing down gear as well as fleece and Gore-Tex jackets from the brand quality such as North face, Ozark and Marmot. During an 6000m peak climbing we advice that you use either La-sportiva climbing boots for 6000m or brand climbing shoes. Your personal gear is one of the major factors for a successful summit opportunity. Make sure to invest in high quality first hand equipment. You will also be required to have basic climbing gear such as a helmet, ice-axes, crampons, climbing and trekking boots alpine style harness (Black Diamond Alpine Bod), ascender device. The info pack for your personal expedition will contain details. Q. How to acclimatize for 6000M climb? There are several options for acclimation during your 6000m expedition. If you have time we always advice to attempt some base camp, or view point before starting to climb trekking peak. Most of the 6,000 meter climbing will have an acclimatization period where you will reach base camp and the higher camps. Q. How do I book the adventure? Q. What is the best way to prepare for an expedition on 6000M? 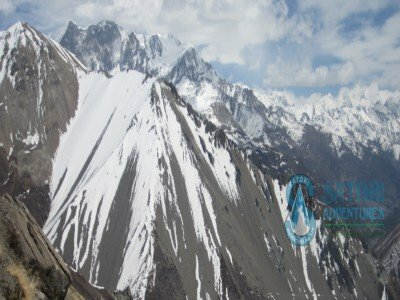 An expedition on 6000m peak is a one kind of difficult grade of trekking where requires physical and physiological undertaking with some climbing aspects. Excellent physical condition is required. Many of our clients for the 6000m peak climbing are cyclists, runners and fitness enthusiasts. Some of these clients ride 30 to 40 km bike rides, run marathons. If clients are participating in these or similar fitness endeavors, the next step would be ramp up your training. Q. What weather should I expect during my climbing period? 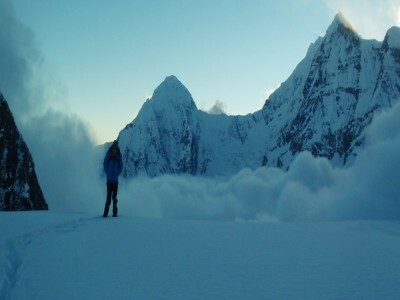 Our expeditions are scheduled during spring and autumn, with the climbing window scheduled for the monsoon change period. This allows us to have a summit bid when the wind stops on most 6,000 meter peaks for a few weeks before the monsoon changes direction. The difference between spring and autumn expeditions is the change of temperatures from cold to warmer and from warmer to colder respectively. Q. 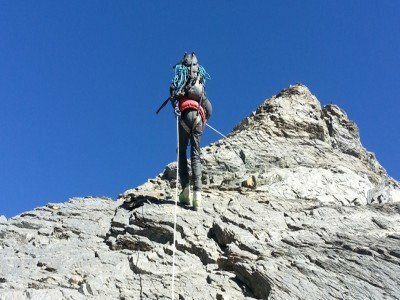 How experience of the Satori climbing Sherpa guide? Our guides are professionals who are trained and assessed either via the International Federation of Mountain Guides Associations (IFMGA) resulting in a greater repertoire of skills that enables them to provide a dedicated level of security to you during the expedition, or many years of mountaineering experience on the world’s biggest peaks. Our guides are experience in both advanced and basic rescue courses and all have a minimum of 3 years guiding on Everest and Manaslu. Panoramic view from Boktoh Peak summit. Appropriate approach for proper acclimatization.